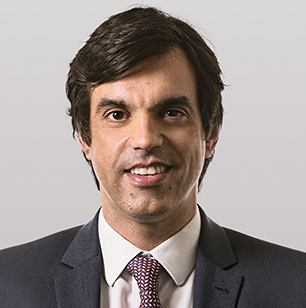 Neither punishment nor prevention: the divestiture in the Brazilian Statute of Competition Defense (original in Portuguese). Revista do IBRAC, v. 25, p. 39-81, 2014. Free Software and non-exclusive individual rights. ARSP. Archiv für Rechts und Sozialphilosophie, v. 94, p. 237-252, 2008. Antitrust Law in the financial sector (original in Portuguese). 1. ed. São Paulo: Singular, 2012. 300p. Conservative Coherentist Closure of Legal Systems. In: Araszkiewicz, M.; Pleszka, K.. (Org.). Logic in the Theory and Practice of Lawmaking. 1ed.Nova Iorque: Springer, 2015, v. , p. 115-136. Defeasibility, Contributory Conditionals, and Refinement of Legal Systems. In:ordi Ferrer Beltrán; Giovanni Battista Ratti. (Org.). The Logic of Legal Requirements: Essays on Defeasibility. -ed.Oxford: Oxford University Press, 2012, v. , p. 53-76. The competence of ANATEL for the regulation of correlated markets to the telecommunication services: the market of phone books (original in Portuguese). Revista de Direito Público da Economia, v. 2, p. 361-375, 2003.